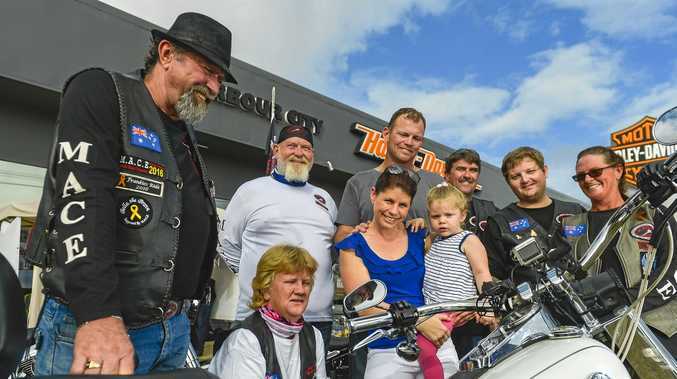 THEY'RE the big-hearted bikers who are passionate about helping kids. 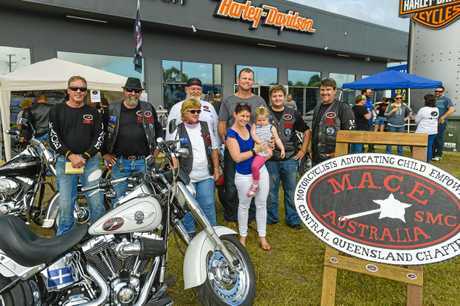 But Motorcyclists Advocating Child Empowerment (MACE) member Brenton Goldsworthy said this year's charity was one the group thought was a worthy cause. Three-year-old Bella Bates was diagnosed with brain cancer in September 2016. The now bright and happy toddler has undergone multiple rounds of high-dose chemotherapy and surgeries. "We raise funds for kids wherever and whenever we can," Mr Goldsworthy said. 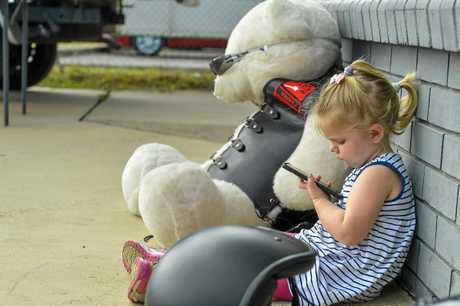 "Little Bella's name came up so I contacted her mum Robin and got her story. "We thought it would be a great idea to help them out." Bella's mother Robin Berthelsen was delighted the group was helping the foundation that raises awareness of childhood brain cancer. She said the donation of $3500 raised on Saturday came at a particularly anxious time. Bella has had two scans come back clear, and she will have another scan in a few weeks. "So we're hoping for good news," Ms Berthelsen said. "But when people pop up out of the blue and put in the time and effort to raise money like this, that's pretty special. "It really does restore your faith in humanity." 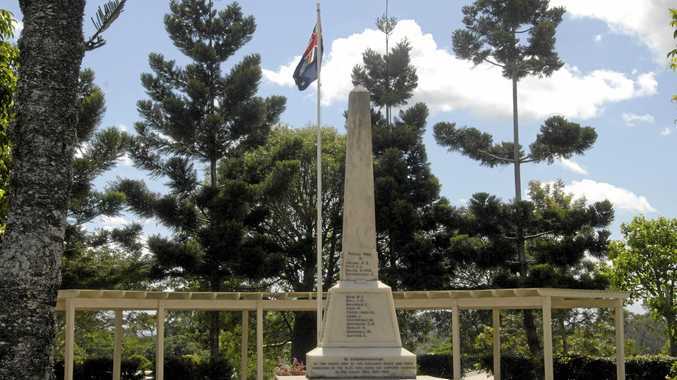 On Saturday morning the group rode from Gladstone to Emu Park and back. 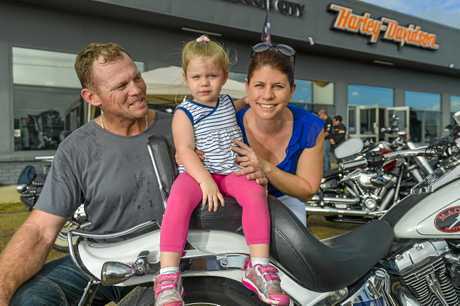 "Riders from Rockhampton joined in as well," Mr Goldsworthy said. "In all we had about 80 people participate." "My fiancé Dan rode his bike," Ms Berthelsen said. "Bella and I followed in the car. I mean, it's the least we could do." Mr Goldsworthy said they had a lot of sponsors chip in this year and they had some great raffle prizes. "We can't thank all the businesses enough for their gifts and their time," he said. "All the proceeds are going to the Bella the Brave Foundation."